« Don’t Be Ashamed Of Yourself. Today we ask you to connect with your heart. Most of you are aware that the heart is more than the organ that circulates blood through the body. The heart is the center. It is the center from which all things arise and to which all things return, just as the blood leaves the heart and returns. It lies within, and can only be accessed by going inward. The heart is full of life energy. It is like a fountain, pouring forth, bubbling, creative, vibrant, joyful. Love is of the heart, but it is not a possessive or clinging love. It is unconditional. It is closer to “joie de vivre.” The dog running through the field, the child giggling in play — that is the love of an open heart. In the human body, the heart lies between the head and the gut. The head is the seat of the mind, the gut the seat of the emotions. A healthy heart center regulates and balances these two poles. But most humans are disconnected from their centers, from their hearts. When this happens, either the head or the gut becomes dominant, often in an unhealthy way. The head-dominant person usually suppresses his emotions, taking the archetypal “Jekyll and Hyde” pattern — the cold thinker with a submerged emotional pressure cooker always threatening to boil over. The gut-dominant person in turn, is hostile toward the logical mind, believing that his feelings are his guide, which is often not strictly true. Fear drives the gut-dominant person toward impulsive, compulsive action. While the gut-dominant person may believe that his feelings are his guide, in fact he is often motivated by fearful thoughts that he tries to suppress. Head-dominant people often pair up with gut-dominant people in relationships, and struggle with one another in predictable ways. But this would not be the case in a human with a healthy heart center. For the heart center is meant to regulate and balance the head and the gut. A healthy heart is courageous, which is to say it is capable of transcending the emotional fear of the gut, and the mental fear of the mind. Courage really just means trust. The dog running through the field, the child squealing with laughter — these beings wholeheartedly trust reality, in that moment. They are not caught up in neurotic, fearful thought patterns, nor are they driven by their impulsive emotional fears. They are just at play. Most humans might be called “heartbroken,” which is to say they no longer trust reality. This loss may have occurred early in childhood, or later on. But generally speaking, almost all humans, in the course of their conditioning, lose their ability to act from the heart. Their hearts close down, and either the head or the gut dominates. Why does this happen? Because most human society and culture is not conducive to the health of the heart. Humans are taught that being “realistic” means shutting down the heart center and listening to other voices: the voice of the head that claims to be rational and pragmatic even as it promotes a joyless life, and the voice of the gut, which claims that impulsive, defensive action will protect you from harm. A heart-centered culture would cultivate a sense of joy, playfulness, and sacredness. Sacredness without pious solemnity. Life is beautiful, life is sacred, and humans are meant to enjoy it. A heart-centered culture would also cultivate stillness, because stillness is necessary to go inward and connect with heart energy. That is why meditative practices are so useful. In meditation, mental thoughts and emotional impulses are observed, but not acted on. Their energy is allowed to dissipate, usually by focusing on the breath. Focusing on the breath automatically connects you to your heart center. The heart is the seat of the soul, which is to say the part of the self that is timeless, immortal, and interconnected with all things. The problem with a lot of religions is that concept of “God” is often exteriorized — presented as being somewhere outside. And so people go searching for the God that is outside, searching for the Holy Grail. But this energy lies within, inside, as close to you as your own heart. That is where “God” dwells. You are sacred, your body is sacred, life is sacred — and it is meant to be enjoyed. Deep down every one of you knows this, because this truth is as fundamental as your DNA. Your sacredness is a law of the universe. Humans do not believe they are sacred, because they are usually taught the exact opposite: you are broken, you are defective, there is something wrong with you. And this is the real cause of “heartbreak.” A strong heart connection cannot withstand the relentless attack of a human mind conditioned to believe false things about reality; conditioned to believe in its own defectiveness. The good news is: all hearts can be healed and mended. No one ever truly loses his heart connection. It never closes completely. The inner door is always there. All humans wind up going through that door when their physical bodies die. But it is possible to re-open that door while you are still alive, in this place. Right now, just be still, focus on your heart, and connect in your mind with someone or something that you love unconditionally, that you are deeply grateful for. It doesn’t have to be anything fancy. It could be a cup of coffee, or the comfort of your warm bed at night. It could be a beloved pet, or a plant in the garden, or a tree. Just connect with something that brings you complete joy, and feel that joyful, loving feeling permeate your body. That is how you connect with your heart. As you gain facility with connecting to your heart, use it to guide your actions. 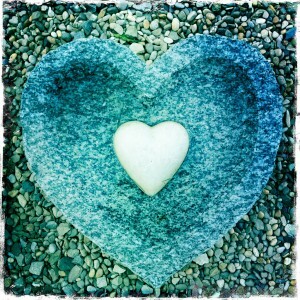 As you contemplate a decision, check in with your heart. See if you sense that peaceful, joyful, heart-centered feeling that you associate with something you love unconditionally. It is very hard for most humans to trust their hearts, and yet the heart is the truest guide humans possess. Please note that the heart is different from the gut. While heart and gut may be in accordance, sometimes the gut can be ruled by fear. Notice if there is a compulsive or impulsive quality around the feeling. The heart is steady and still, whereas the gut can be restless and churning; it cannot wait, it must do it now. It is often wise to “sleep on” actions and decisions just to make sure they really are coming from the heart. Really the best thing to do is to connect with your heart on a regular basis, by allowing yourself to feel unconditional love and gratitude even for small things. The more your heart connection opens, the more trust and courage you will feel. “God” is never outside of you. Sacredness is not outside. It is inside. It is in your heart. So beautifully stated and ever so true! Thank you! Thank you Nona and Maria! Love you both.